For any organization, service management is a key issue. Applications are numerous and their management can sometimes be complicated. To ensure proper monitoring, some elements are required to provide the best possible service. 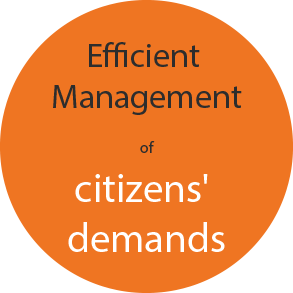 For a municipal organization, planning is essential and allows city managers to ensure an optimal level of service to citizens. Following these four prerequisites, here are some examples in the context of municipal management. By following these four elements, you can better serve your citizens and thereby increase their satisfaction. Using the C2 Enterprise software, a web portal can also be configured so that citizens can send their request directly to the city.